18 x 24 inch Screen Print. Signed and numbered edition of 125. $50. Purchase limit: 1 per person/household. 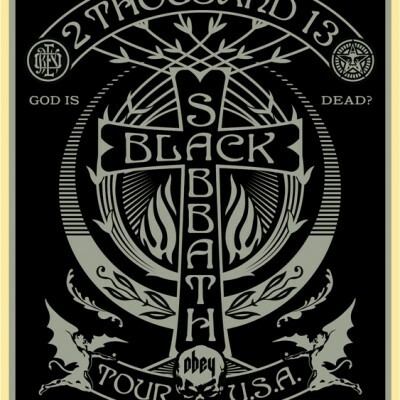 Black Sabbath has been one of my favorite bands for 25 years. I was fortunate enough to meet Jack Osbourne through my friend Big Dave in 2000. My relationship with Jack and Big Dave has led to several great Ozzy and Sabbath projects over the years. One of my biggest “I’m not worthy!” moments took place when Dave took me backstage to meet the Sabbath guys in 2004 at Ozzfest and bassist and lyricist Geezer Butler was wearing an Obey shirt! 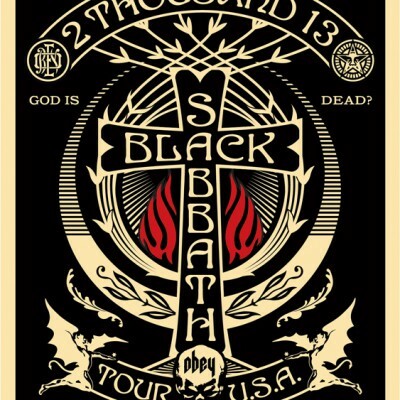 Sabbath is still a phenomenal live band and I’m incredibly honored to do my second(first was in 2005) Sabbath/Obey tour poster. 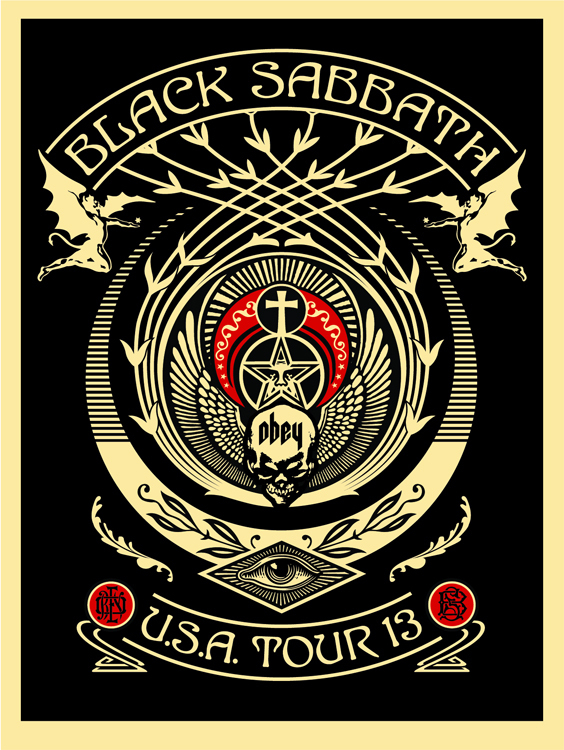 Sabbath released a great new record called “13” recently(produced by Rick Rubin) and are touring in support of the album. There are 125 of each poster in each color way, black and red, and black and metallic silver.